Many thanks Steve for this piece, but I’m afraid to say this will take some time to catch up in Asia primarily due to legacy issues. I witnessed first hand what happened at Xerox PARC. I don’t think that it fully followed the model you described. The PARC researchers fully appreciated and understood the customer needs as we were often using people testing out our prototypes. But our REAL problem was relying on the “Mother Ship” to appreciate the significance of what was happening and user us properly. It might be easy to understand why Xerox missed out on capitalizing on the Mesa Programming Language, Ethernet, the GUI for PCs and more as they were truly outside the core business of the company. But Xerox almost (some people may say that they did) missed out on the Laser Printer industry, which was also invented at PARC…. The history of PARC’s failure as “the idiots in corporate fumbled the future” is only part of the story. I think PARC suffered from being just an advanced R&D group versus a Skunk Works. The key difference is that a Skunks Works owns customers. If PARC had its own sales channel and had the ability to interact with customers while running a P&L it would have quickly discovered the difference between great technology and technology in the form of products customers want and need. With orders and paying customers in hand, it would have had better chance of being able to prove to corporate that this could be a business not an expensive corporate hobby. I think the engineering version of the PARC history does disservice to the fact that very few corporate structures in the 20th century allowed disruptive innovation to flourish. How do you combat adherence to the status quo and defense of corporate fiefdoms? 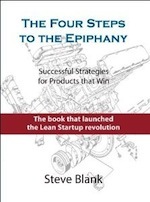 The whole point of innovation is to eliminate the status quo and that is very threatening if you were the architect of the current product or process. Also, isn’t the advantage (and weakness) of large organizations that they grow through systematized processes. Efficiency at scale. This advantage seems to go directly against the process of innovation. Yes, you point out the reasons that companies aren’t aligned this way today. And there would be no reason from them to do so in the future if it wasn’t that the rules around them have changed and are changing rapidly. Disruption will force new thinking. I posit that the status quo is unsustainable. Most existing CEO’s and boards won’t change. A few will. And they will insist on a change of culture. 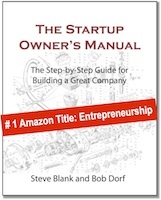 So bottom line…this is why there will always be room for startups. Status quo leaves space for new entrants to upend the incumbent. 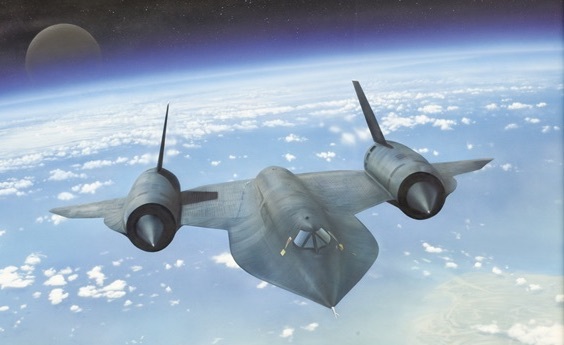 “We need to realize that skunk works epitomize innovation by exception. But to survive companies need innovation by design. I’m currently working with a few companies who are making these changes and have leadership who are committed to building cultures of innovation and experimentation. Thanks for making the destination between skunk works and innovation by design. At Deckers Brands, we are using a series of workshops on customer development, business model design, and design thinking to help grow a culture of innovation. I look forward to your follow up post to learn how you see these changes can occur at other companies. You betray the fact that risk-avoidance and promotion of continuity is inherent in organizational structure in the means you’re employing. ‘Business model design’, ‘customer development’ etc. are inherently continuous processes, not disruptive ones. A disruptive model has to ignore what customers think they want and create something they have no idea they want. A disruptive model has to ignore the business model and assume it can be completely thrown out and replaced by a new one suited to the innovation. Interesting perspective. These practices are not about continuity at all. They are about empowering people with the skills and resources they need to take the risks necessary to discover new/disruptive models and innovations. It’s about building a culture that embraces risk, experimentation, and learning through failure. But when a competitor comes out with something disruptive you need to be able to react quickly. The primary reason for a separate team responsible for innovation is not a lack of innovative people or ideas on the ‘main’ team, but the simple fact that what is important is rarely urgent, and vice versa. What ‘skunkworks’ type teams have over the main development teams at any company is that by being separated they don’t get pulled off working on new stuff to put out the latest ‘urgent’ fire. The secondary reason is contained in the very term ‘continuous innovation’, what is continuous is by definition not disruptive, and the truly new can never be continuous (contiguous would be a better term) with what is current. The idea of marrying contiguous development with disruptive development is as facile as the notion of risk-managed change. Risk management can only ever be against change in its foundation, since it can never really separate itself from risk avoidance. Contiguous development can never properly be married to disruption, since it cannot conceive of development not continuing along the line it’s already going without abandoning that development. Lastly, you cannot organize innovation. Organization and innovation are inherently at odds. Organization may be necessary to productize and commercialize innovation, but it can never be anything but contrary to innovation. The telos of the organizational elements of any organization is stability, which can never be reconciled with change. While the organization as a whole may recognize the necessity of change, only to the degree that it limits the scope of its own organizational elements can it achieve any sort of balance with innovative elements. Consider the company that is best known for “skunkworks”, Lockheed, versus Boeing. Boeing is a company of contiguous development and continuous improvement. Each generation of airliners is incrementally better than the last, but not significantly different. Lockheed works on the opposite, disruptive model. Boeing was in no danger of inventing the space shuttle as a side effect of the 767. It certainly was in no danger of getting nuclear fusion to work. Both business models have their strengths, but they are clearly opposed. Nuclear fusion will require a revamp of Lockheed’s entire business model and organizational structure, the newest Boeing SuperLiner will not. It’s a great metaphor for the difference that Boeing products transported Lockheed products to the launch pad, but Lockheed products went into space. Boeing’s Dreamliner was very different. Even the battery was different – it is the difference that was not properly evaluated that gave rise to conditions the allowed the Li-ion battery to be abused. Boeing ignored the warnings signs, FAA was also ignorant to the potential hazards, ergo THE FIRES. This is an old story. Here are the requirements for disruptive innovation in an existing organization. 1. Leadership that is willing to support the development of disruptive technology. 2. Leadership that is willing to find a way to incorporate that technology into its manufacturing and sales chain. 3. Leadership that allows everyone to “touch” the customer to the maximum extent possible and share the “learning” that results, letting the chips fall where they may. 4. Leadership that is willing to sacrifice short term profits for uncertain future gains. 5. Shareholders that embrace the necessity of 1 – 4. Everyone is entitled to their opinions. I fundamentally disagree with Blank’s view that intrapraneurship or skunk works are dead or need to die. I suspect that Eric Schmidt would agree with me. Intel also coined the term “intrapraneurship,” which continues to this day. I am cut from very similar cloth as Steve Blank. Many years with Intel, then an entrepreneurial odyssey, working with Intel alumni VC’s, and massively invested Silicon Valley failures like SGI, and P-Cube, so I have the welts on my back to prove my credentials. I am not convinced that disruptive technology (in it’s purist sense) has anything to do with Kelly’s 14 rules. I consider them (the rules) to set the tone for the management of an engineering development program sponsored by the Federal government (civilian and military). Quite right. Government stimulated military technology development is a very different enterprise than commercial/industrial technology innovation. Ironically, there are also numerous instances of cross-fertilization between the two forms of innovation, which have not been addressed by Blank. I think we are mixing apples with oranges. Lockheed established a program and delivered a product to specific requirements that US Government had given them. They did NOT displace any technology in that specific market. No! No! No! Disruptive model. The discussion on Lockheed has wandered off into the weeds.While some government/DARPA projects are highly focused on defined deliverables, others are applied research with less focus, and still others are examples of unexpected disruptive innovation. Conversely, when at SGI we worked on DARPA projects that modified COTS technology…(commercial off-the-shelf), which still occurs. 1987 through 1990. I was senior director of OEM, and worked directly with Jim Clark, Forest Baskett, Ed McCracken and others in exec management on a DoD project and a commercial project with IBM. I also mediated Intel’s unsuccessful efforts to displaces MIPs at SGI. GL survives. Reblogged this on Alopex on Innovation. Over the years, I’ve been exposed to ‘skunk works’ at different organizations. They definitely do have inherent problems, in that they exclusively innovate, consequently excluding other employees from the innovation process. Being a member of a skunkworks is akin to being a member of an elite club. I’ve seen jealously from the non-members and a sense of isolation from the skunkwork members since the work they’re doing can be highly confidential. In addition, at the conclusion of the skunkworks, it is not uncommon to have those talented skunkwork employees leave the company since they just don’t fit into the ‘normal’ organization where it is a company policy to wear business casual. On another note, as mentioned by another contributor skunkworks can be very effective in large organizations since you typically have a dedicated team that is working on ‘one’ project. I’ve seen way too many companies attempt to spread their resources over too many projects leading to nothing being delivered to the marketplace. If it is delivered to the marketplace it is too late. Skunkworks are great for speed and getting around bureaucracy. I agree, getting support from the top is key for any major initiative (CEO, executive management). The problem that I’ve encountered is the breakdown between the executive level to the middle management level to the worker bee level, and typically there are more than just 3 levels in a large organization…Its complicated and a lot gets lost in the translation. I look forward to your next post on how companies can organize. Mary; Can you share your “skunk works” experience without sharing the confidential information? Or the specifics on technology? For example did you work for Lockheed’s shunkworks? Or was it some other big system integrator? Or was it within government organizations? If you want to do this privately send my your response at charlie@scuilla.com . Sorry, but I can’t share names due to confidentiality agreements. There were two skunkwork located in Telecom, one in CPG and one in Consumer Electronics. Different industries, but similar behaviors and dynamics. Fascinating topic. Not sure if you had the opportunity to read the latest HBR article dated December 2014 on Innovate Faster Cheaper Smarter/Cover Story. The authors are proposing that you separate your core and new-growth efforts with a small dedicated innovation team… sounds like a skunkworks. Steve’s title for this thread is very interesting and thought provoking (typical Steve). Look at Apple for example still making computers but they are making phones, watches, making their own chips, and maybe TVs. Take a look at Blackberry – is the phone their major product? Not really they have their own Operating System. To innovate a company must be able to have the courage to shift their business model for making money to another. Very difficult if they have cash cows. Another small point – just because you call a team “shunk works” it does not mean you will be successful in the market place. One good thing is that even though companies fail – The technology they created does not die. Other smart folks can build on it and open new markets. So there is a continuous innovation path for those who can recognize “what’s next” – (maybe someone could use this as a title for a book)? These comments are interesting, particularly since I was thinking exactly the opposite: that my struggling company desperately needs a skunkworks division to foster creative ideas and innovation. Since we’re far from creative destruction of the old and nurturing the new, a skunk works seems like the only hope. What I’m saying is, I agree with the ideal, but the skunkworks might be the only path to getting ‘there’ for a dying, dysfunctional company. Great article and comments. The key point not to be missed regarding innovation: Sales, distribution and direct customer feedback are an integral part of the disruptive innovation. “Skunk works had control over their sales channel and had direct customer feedback”. 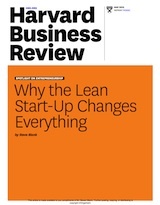 “Skunk works looked much like a startup”. “Innovation and “Execution” can never coexist. “Execution” will strangle “Innovation” every time. Bean counter’s, process engineer’s, and clip board operators replace Scientist’s, Engineer’s, and Shop Artisans in the name of efficiency which is code for Share Holder Value.